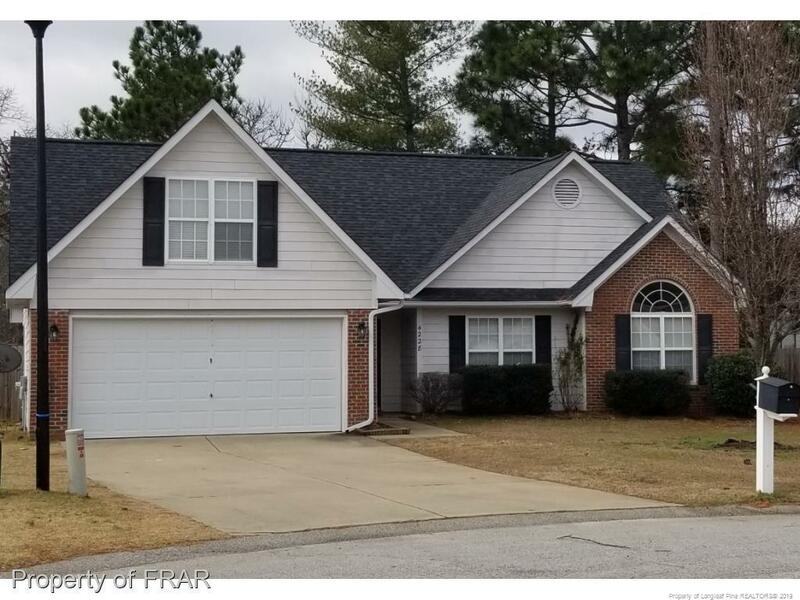 Lovely Peartree neighborhood home just hit the market in Fayetteville!! This ranch style home features 3 bedrooms, 2 bathrooms, and a BONUS room. The kitchen comes equipped with a refrigerator, mounted microwave, range and dishwasher with a breakfast nook space. Doors off the kitchen open into the main living space for a little extra privacy w/a modern fireplace. Features a screened in back porch space, an outside storage shed & fenced-in backyard. Cul-de-sac street in Jack Britt School dist!